It was first mentioned in written sources in 1760, so it’s more then 200 years old. There for it has a very long tradition. In those days only 35 children attended the school, today we have 711 students in 38 classes, aged from 6 to 14, and 84 employees. The school district is quite big. Our students come from many small and big villages around Vojnik. Most of them come to school by bus (75%). 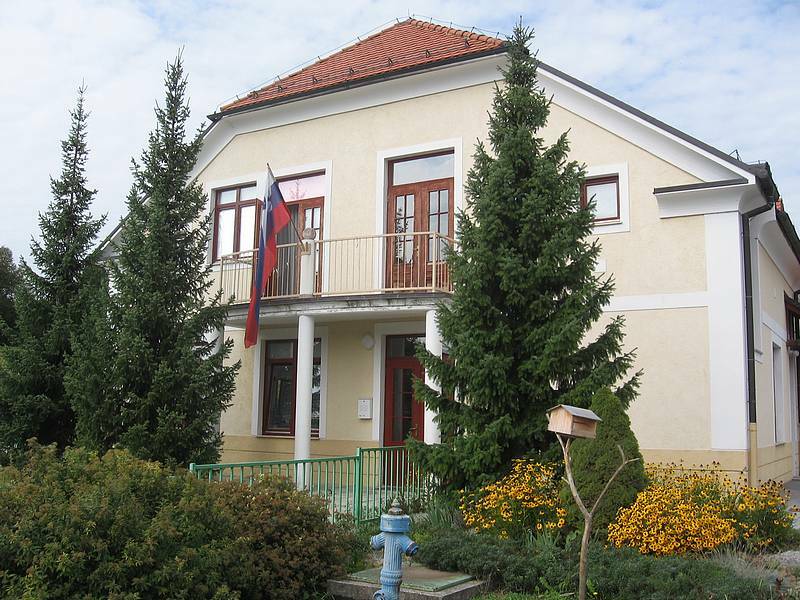 We also have 3 branch schools, one in Smartno v Rozni dolini, one in Socka and one in Nova Cerkev, but students stay there only until they finish first four classes of elementary school. 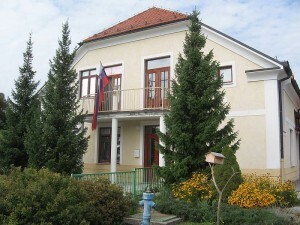 Then they transfer to the central school in Vojnik. Our students are quite successful at school and in many different competitions. Many students in 9thgrade achieved great success at external examinations and also in English, logic, math, geography, chemistry and sports competitions. We try to fulfil every student’s need and ability, so we organize more then several extra after school activities, where students can try out, do and participate. For years our school has been actively involved in different national projects, organized by Ministry of Education and is one of the best-equipped schools with computers in our region. Our school is well known by our research projects. During the last five years we have done and published more than 40 research works, public uses some of them. Our students start learning English at the age of 6 in 1st. grade. Our school organizes summer and winter “school in nature” (active holidays). We’ve written sponsored tests and collected money for WWF. We organized a concert where students and teachers showed their talents (talent show) to collect money to help a student in need. Every year we organize many local cultural events for elderly people, and invite some famous people. We even hosted the president of Slovenia. This school year started on 2nd September 2013 and it is going to end on 24th June. 2014 (for classes 9 on 15th June 2014). THE DAY OF THE SCHOOL is a free day and will be confirmed in the school annual working plan. Four main aim is to provide a secure and caring environment in which each individual child can fulfil his or her own potential. We aim to prepare in co-operation with parents each child for the opportunities, responsibilities and experiences of adult life, to develop moral values and good habits for physical well being with awareness of the responsibilities of members of a caring community. We wont to equip each child with the skills for good progress through primary school and successful entry into secondary school. We also aim to encourage positive and purposeful attitudes; perseverance and resourcefulness, and the qualities of compassion, fairness, tolerance, humour, goodwill, helpfulness and understanding. – try to solve any arguments they might have with a calm talk. There is a representative of each class in the school parliament. They meet twice a year at least. Its main idea is to represent the interests of all age groups of students at our school. The main goal is to improve life and activities at school. This year they talk about violence. Children’s decisions and statements are represented on regional children’s parliament. Our representatives have already taken part in the state school parliament session. Our aim is to stimulate positive thinking, communication, common and tolerant problem solving. Parents – teachers meetings are held once a week. Every week each teacher has one reception-hour in the morning and once a month in the afternoon. If parents feel that something at school is worrying their children, they have every opportunity to speak to the class teacher or the head teacher. A quick word before or after school is always possible, but longer interviews should be arranged in advance. Parents also have their own council (parents council) where representatives of the parents from each class discuses about problems or any other issues with each other and try to find the solution or new ways to improve. – support any special needs. – get to know about my child’s life at the school. – keep parents informed about School activities through our website, regular letters home, newsheets and notices about special events. We organise extended staying at school for all students from class 1 and 2 whose parents are at still at work when the school finishes. Here they do most of their homework, they prepare for the next day lessons and participate in different outdoor or indoor activities. Children can stay at school from the end of their lessons till 15.30. The school has one division with 27 students. Children through the school enjoy educational visits such as day trips or half a day trips, connected with work that they are doing in class. Every year students have an excursion to a certain destination, where they find out new things about the location, people, and nature… they all enjoy them very much, even the teachers. 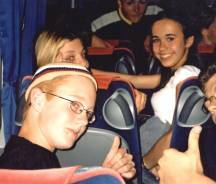 At the end of the 8th grade (the last year), students visit a town abroad, usually Vienna. School tries to educate children and give them every opportunity to learn and find things for themselves. And there’s no better way then going in the nature, discover it, explore and enjoy it. Students study the pond, measure the temperature, the size and learn about the animals that live in the pond. Some other topics of the science projects are: milk and dairy products, where students visit the dairy product factory. Class 1: Zoo, Personal hygiene and teeth. In the middle of the hills in a small valley is our small village with our very own and new school. 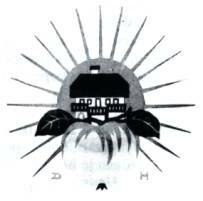 We have had a school in our village for more than 600 years. We even had school in more that 500 years old castle. But since it was old and dangerous to live in, our parents decided to built us a new one. So we’ve been at the new school for six years now. This year we have 41 students from class 1 to 5. Because of the small amount of the children class 1 and 2, and 3 and 4 are joined. So there are three classes and three teachers. And there is also a kindergarten division. But it doesn’t matter that our school is not very big, we make it big. The name says it all Rozna dolina – Flowers valley. And in the centre of the village is our school. It is very often the real centre, because people like it a lot; children and their parents. At the moment we have 40 students, three classes and three teachers. 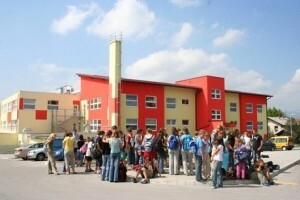 Students stay here for four years (class 1 to class 5) and we also have a small kindergarten division. long with the regular lessons our students are able to attend different activities of interests: dancing, folk dancing, school of music, singing choir, gardening and drama club. We are very curious and wont to learn new things every day. And what better way can you imagine than learning from an expert. So every year we invite to our school people with different professions and ask them to show us their work. The bee-keeper showed us the bees and their life, we have done many different project on that subject, but most of all we enjoyed eating honey cookies. Often our guests make our school days very interesting. During the week of the children a magician visited us and showed us some tricks. Our village was first mentioned in the 12th century. In the past, in the 16th century we had many Turks visiting our village, that’s why people have built the great wall around the village to protect themselves. The great wall is gone, but you can still find parts of the wall walking through the village. There are many rivers in our village and in the past people used to built and work at mills a lot. One of the oldest and still working mills in Europe is called Sorzev mlin and you won’t believe it; it’s in our village. You can buy bread and different kinds of flour there. At the moment there are 58 students and four teachers in our school. We have many activities of interests where we have a lot of fun. Most of the children love gardening and that is why our school blooms every spring. Our children also experience many different sport activities and during the week of children the school likes to organize something special like a trip with a balloon and of course you can’t miss the good food, pizza! 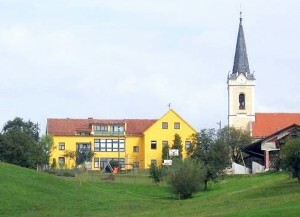 Our primary school is located in a small, but old town called Vojnik. Vojnik is spread on 1060m2 in central Slovenia in the NE of the Celje Valley. The population is 11.051 (2010). Most of the people make their living from farming, but there are also many small businesses. 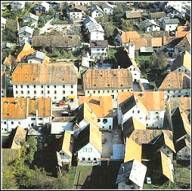 Vojnik was recorded as a borough in 1306 and since then it has been changing a lot. 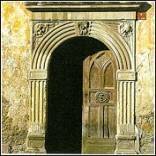 It was on fie many times and it even burned to the ground in 1839. Vojnik is in the middle of two worlds: on one side peacefulness of the sub-Pohorje highland and on the other side noisy roads connecting north and south. Vojnik people are very open minded, friendly and always in good spirit. The town is well known for its hospitality and many good pubs are just inviting the travelers to stop here and take a break. The beautiful nature, green hills and clean rivers give opportunities for tourism. Many famous people left strong remarks in the life of Vojnik town. Some people where born here, some were brought here later in their lives. We certainly can’t mention all of them, but that doesn’t mean we don’t appreciate their work. Dr. Karel Henn the founder of famous Slovenian spa and a big promoter of still mineral water pump. Bishop St. Anton Martin Slomsek worked in our town. He wrote many poems,school books and he was very famous for his preaching. Peole gave him a nickname “Slovenian Cicero”. 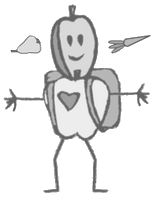 Every year a hike trip is organized in his honour. Anton Brezovnik (1853-1923) was one of the most important people in Vojnik. He was very good pedagogue, well-known publicist and a very nationally feeling Slovene. He promoted Slovenian language and he wrote many articles about the importance of our own language. Dr. Anton Novacan (1887-1951) was another very nationally feeling Slovene. He was an important politician and diplomat. He lead a very active life and he was also well-known play writer, poet and many more. He lived in Africa and Argentina. He described his life in a diary called Jeruzalem – Kairo – Rim. He published a collection of 240 sonets. And his most famous work is a play called Herman Celjski. Mrs. Doroteja Hauser (1877-1946) was also one of the famous people of Vojnik. She was well educated and very respected in the whole country. She openly opposed the Nazism and Nazis. She died just after the end of the II World War in the fire in her house. She was born in Austria. She studied Art (painting). She mastered many painting techniques, but she is very famous fro her miniature paintings. Her techniques varied very much and so did her themes – motives. She left us many great paintings and we all like them very much.